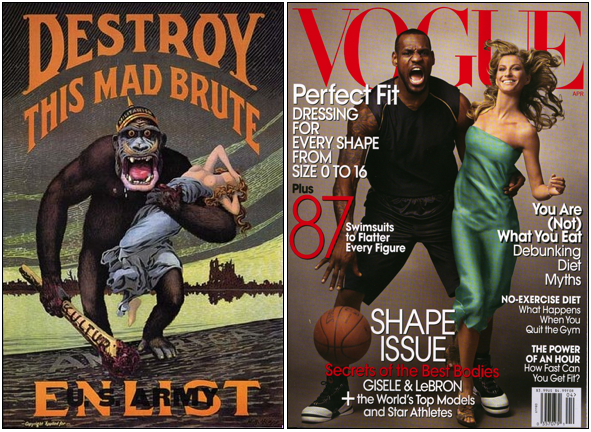 Athletes and activism: When does ignorance become intolerable? At the masjid on a recent Friday, they talked about priorities. The context of this khutba was that while plenty of Muslims manage to make time for leisure, not enough make time for learning about Islam; that if the masjid were to throw a Super Bowl viewing party it would pack the parking lot, but when it hosts classes on Muslim marriage practices, or halal money management, or properly making salat, the attendance numbers dwindle to single digits. The call to action was for Muslims to view those learning opportunities more like something obligatory and less like something optional; to make it the same priority that we make can’t-miss activities such as our jobs or going to school. Placing a high value on work and/or school is not wrong by any means, as most of us have to work in order to survive or have to go to school in order to put ourselves in position to work. But we should not always put school and work over our religion. And we certainly shouldn’t prioritize recreation over religion as often as we do. The overall point was that, since it is required of Muslims to seek knowledge, we should make it a top priority to learn about Islam and the deen whenever possible. And for those of us who are blessed with access to knowledge, ignorance is no excuse. The khutba reminded me of a story that has recently gained worldwide attention; one involving a 12-year-old Black homicide victim, the adult White police officer who killed him, and NBA superstar LeBron James. 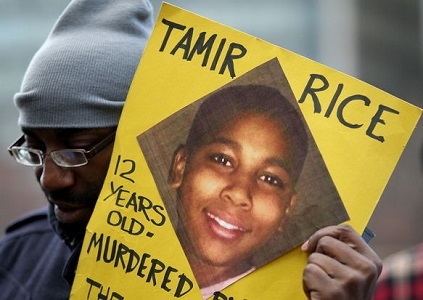 In December 2015, a Cleveland, Ohio, grand jury declined to indict officer Timothy Loehmann on any charges related to the shooting death of 12-year-old Tamir Rice. In a surveillance video of the shooting, Rice is shown standing alone in a city park. A police car zooms into the picture — they had been called to the scene by reports of an individual wielding a gun — and in less than two seconds Rice is gunned down. Loehmann and his partner claimed Rice had pulled a gun on them, but the video shows Rice was using both hands to raise his shirt and display a gun that was tucked into his waistband. And as the original 9-1-1 caller relayed to he dispatcher, that gun was in fact a toy pellet gun. In the aftermath of yet another American tragedy of White law enforcement getting away with killing a Black citizen — this time without so much as facing trial — there was an immediate public outcry for LeBron James to get involved. 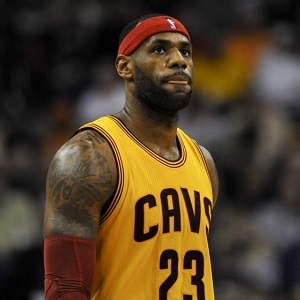 The four-time NBA Most Valuable Player, star of the Cleveland Cavaliers, is the biggest sports star and celebrity in the state of Ohio, and in recent years he has shown a willingness to speak out against racial injustices such as the killings of unarmed Black males Trayvon Martin and Eric Garner. It seemed only natural that James would do or say something about Tamir Rice. My fellow Muslim Matters columnist Tariq Toure started a hashtag movement, #NoJusticeNoLeBron, in which social media users called for LeBron to sit out Cavaliers games until the local government did something to right the wrongs committed against Rice and his family. I was not the only person left disappointed by that choice of words. Currently and historically, James is arguably the most criticized, nit-picked, scrutinized and publicly disrespected athlete in the world. He does have legions of adoring fans, and more who simply respect and appreciate his basketball ability. But he also has a ton of doubters, detractors, haters and trolls. And thanks to present-day sports and social media culture, they are louder and more visible than ever before. As a result, just about everything James says to the media is picked apart with a negative bias, and someone somewhere will reach to find fault in his statement. This one required no reach. I’m a fan of James as an athlete and believe he is a pretty good role model and respectable public figure. He is a family man who has never been in trouble with the law, has never been known to be disrespectful to the public, often goes above and beyond the norm in his charitable and community-service efforts, is a successful businessman off the court, and is of course a very successful competitor on the court. I don’t believe James or any other athlete or celebrity is obligated to speak out on social issues. And for those who have in the past, they shouldn’t be obligated to speak out on every issue or every similar issue thereafter. We are all free to pick and choose our battles. I’m also considerate of the fact that public figures are often taking a bigger risk with their livelihoods and with the safety of themselves and their families if they take a controversial stance. James choosing to leave the Rice story alone is perfectly acceptable. James claiming ignorance about a case that is so high-profile and so near to him is almost intolerable. Some might argue that because the shooting and the grand jury proceedings both took place during respective NBA seasons, James would understandably be too focused on his job to follow the news story closely. But a story of this magnitude, in his locale, where he is raising his three children — including two young Black males? Several verses in the Quran, and several stories from the hadith, make clear that Allah [swt] does not hold human beings accountable for that which we cannot know. There are times when ignorance is a valid excuse. During the time of jahiliyyah, people could not live by Islamic principles if those principles had not yet been revealed and spread via the messengers of Allah [swt]. Someone who lives somewhere in which they’ve had no access to knowledge of Islam is not expected to understand or embrace Islam. Similarly, a man in our society who did not have access to the generalities or details of the killing of Tamir Rice cannot be expected to speak on the situation or take a stand against the injustice others have seen. And while it is ideal, a man who does have knowledge of the story should not be expected to take a public stand. But for a man who has access to knowledge, ignorance is no excuse. Whether he intends to do something courageous with that knowledge or not. masjid — a place of worship and salat. The life of the early Muslims used to revolve around the masjid. Meetings would be held there, discussions would take place there. It is called a ‘mosque’ in English. khutba — a speech or sermon. It is sometimes used to refer to the sermon given during the Friday congregational prayer. halal — something that is lawful and permitted in Islam. salat — the five obligatory prayers that a Muslim must perform everyday. deen — means way of life or religion. hadith — sayings of the Prophet. jahiliyyah — means ignorant. Jahiliyyah refers to the pre-Islamic era that existed in Arabia. It is a combination of views, ideas, and practices that totally defy and reject the guidance sent down by God through His Prophets.